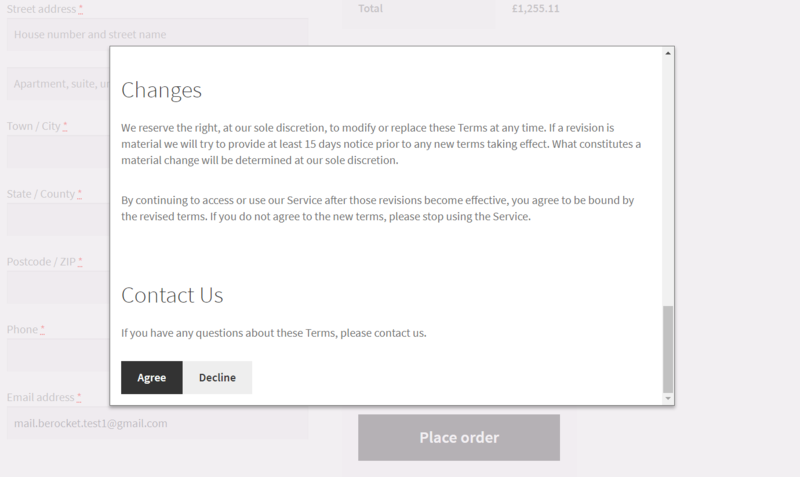 Often users must move to another page to read the "Terms and Conditions" text. After that, the customer need return and check the box (if he agree) or leave the site (if he doesn't agree) with the "Terms and Conditions" text. Do you agree that this way is not the most convenient? However, how to make it better for users? It must be easy to use for you (admin part) and more beautiful and comfortable for your customers. 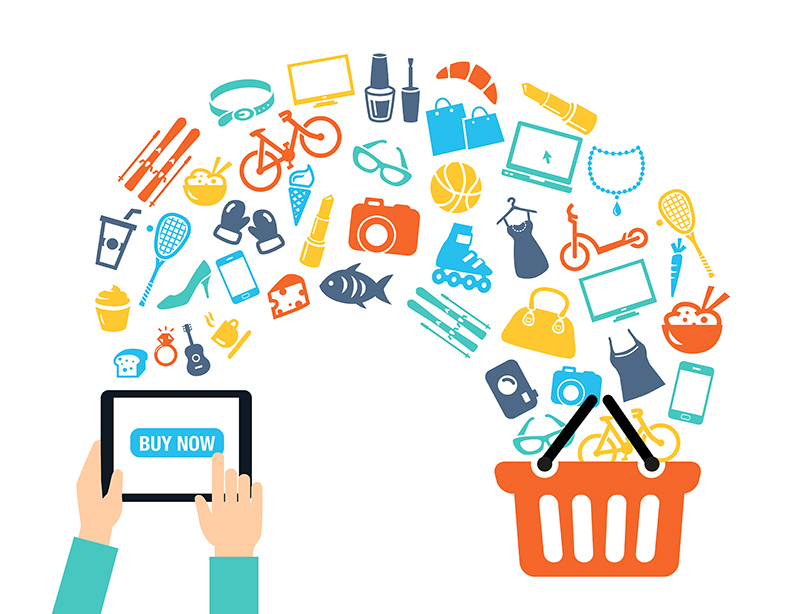 WooCommerce Terms and Conditions Popup can help you to solve this issue. This plugin has an easy to use settings page and will make your "Terms and Conditions" text in a beautiful popup. 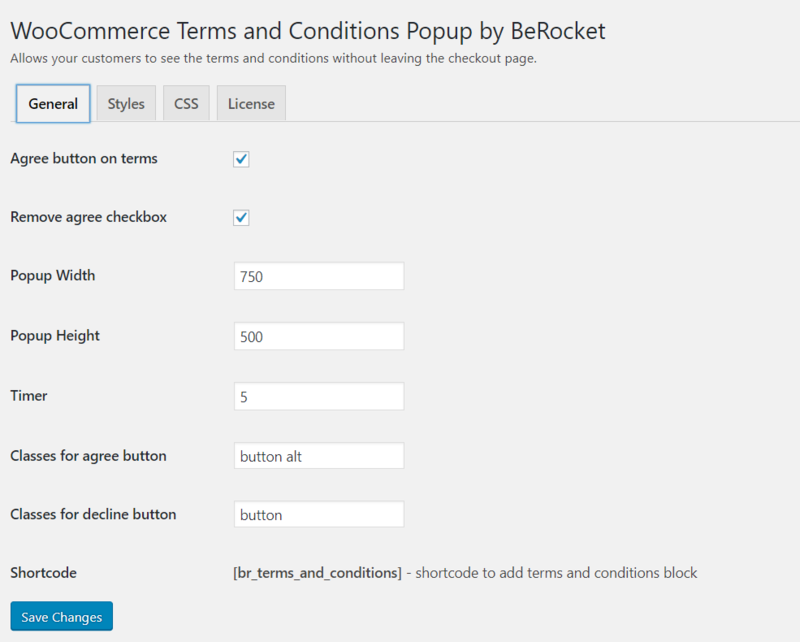 WooCommerce Terms and Conditions Popup plugin allows your customers to see the terms and conditions without leaving the checkout page. Terms and conditions have great advantages for users and administrators in terms of liability and security. WooCommerce Terms and Conditions Popup gives the possibility to display this type of information in a popup window and so make its consultation quick and simple. The plugin has easy settings. Administrators, of all levels, can be use this plugin without special preparation or knowledge. This is just our example, you can customize the style settings as you want. That's all. We already done our popup with "Terms and Conditions" text. Let's see the result in the picture below. We hope that this article be useful for you and your web store. We think that every step is important for you and your customers. “Terms and Conditions” text is not an exception. This step is very important and must be comfortable for customers. More information about plugin work you can read on the plugin page or his documentation.